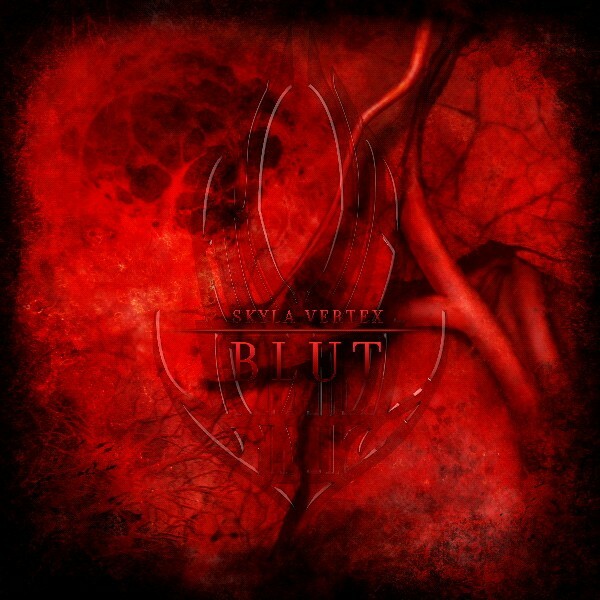 On June 21st 2013, one year after their Debut-Album „URWERK“ and various successful concerts with top acts like VNV NATION, NACHTMAHR or HOCICO, german power-duo SKYLA VERTEX strikes back with full force and their second release „BLUT“. This CD is strictly limited to 333 copies and comes in a sophisticated Super Jewel-Box. SKYLA VERTEX is manifested proof that hard electronic beats, epic melodies and deep lyrics don’t contradict each other, and is a must-listen for everybody who seeks just that, especially in times where Dark Electro seems to lose it’s meaning. With five new songs, a half-tempo reinterpretation of the „URWERK“-Hit „Sinnkrieg“ as well as four Remixes by the scene legends SHIV-R, FROZEN PLASMA, FREAKANGEL AND ORANGE SECTOR, „BLUT“ is a fantastic follow-up for the highly praised Debut-Album and impressively foreshadows the things that are yet to come. The paths lie open before anyone who dares to take a look. To fathom their troubles one needs valour. It is the era of "too much" and "too little", the time of the great divide. At this point there is no use in reservation nor biding. Decisions are what counts, there is no going back from here. the first step on the way to the core. It is the parting, it is the vertex.